Guess what came home with me on Saturday? Dog Show (I was showing a friend’s dog). Puppies. I said no. Hubby said yes 😲. Puppy came home with us. 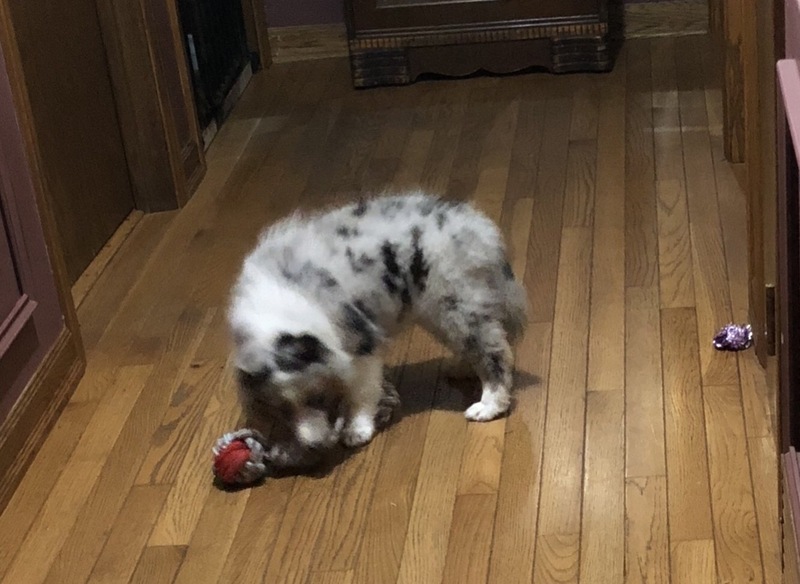 Meet Opal, a blue merle Shetland Sheepdog or Sheltie for short. 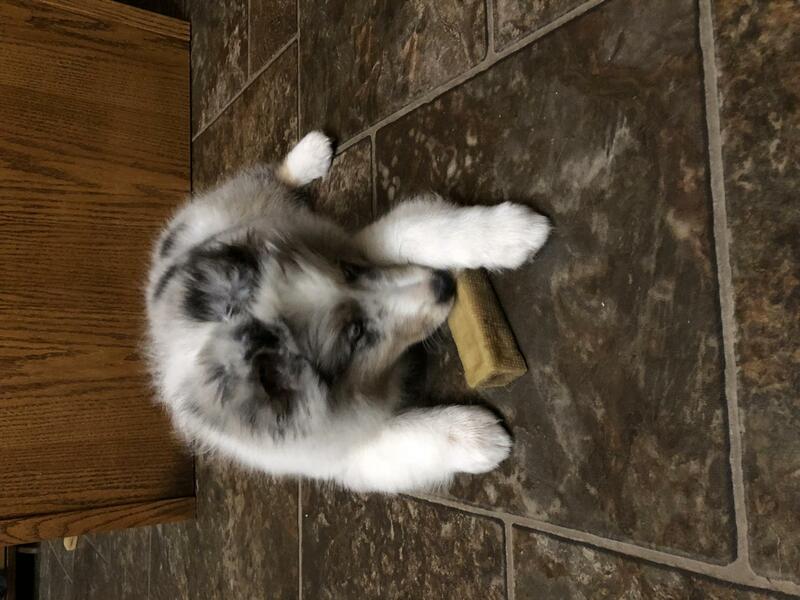 She is not quite 11 weeks old. In Barney's puppy class 3 years ago we had a beautiful Sheltie girl and they are so clever! Ha, ha...another baker's apprentice! Adorable and you know what my husband always says about Barney and when we discuss when something needs doing ''NMD'...aka NOT MY DOG....p.s. he is the one who fed him so many treats that he is now on a diet!!! Hah! And has a wonderful temperament! The size of my daughter’s Golden and the whole new environment thing doesn’t faze her at all! No one is more surprised than me since hubby kept saying no more dogs. We usually have 3 but occasionally have been down to 1 or even have had 4. We are back up to 3 with her, the Golden, and my old Sheltie. Having had Shelties for the last 33 years, I understand them. The Golden was quite the education since their temperament is totally different. This is like putting on an old shoe. So nice to know what to expect. I love it when they have that wobbly puppy walk and worried to jump down a step! Opal....what a great name with her colouring and eyes! He has that look that just melts your heart! The breeder’s daughter named her and I thought it was perfect. I always have such a hard time naming pets so this was perfect since I really liked the name. I don’t know why that top pict is sideways. The dog is still young and immature. I'm sure with affectionate attention to its training and discipline it will soon be producing properly oriented pictures. All it needs to do is learn the difference between the commands "landscape" and "portrait". Several dedicated hours of training each day should accomplish that. Okay, enough foolishness. It looks like a DFD - Darned Fine Dog. Congratulations. No way! She is fitting quite nicely into our life style so far. I have a weekend bake planned so we will see how that goes. I suspect she will be in her pen during a chunk of that time so I don’t step on her while making dough. She loves being underfoot. to have such an experienced and loving Mum! And your photography is beautiful! for the pictures go to my daughter. She has a real knack for puppy Picts. Congratulations on your adoptee! Opal is gorgeous, and no doubt, will make a wonderful addition to the family. 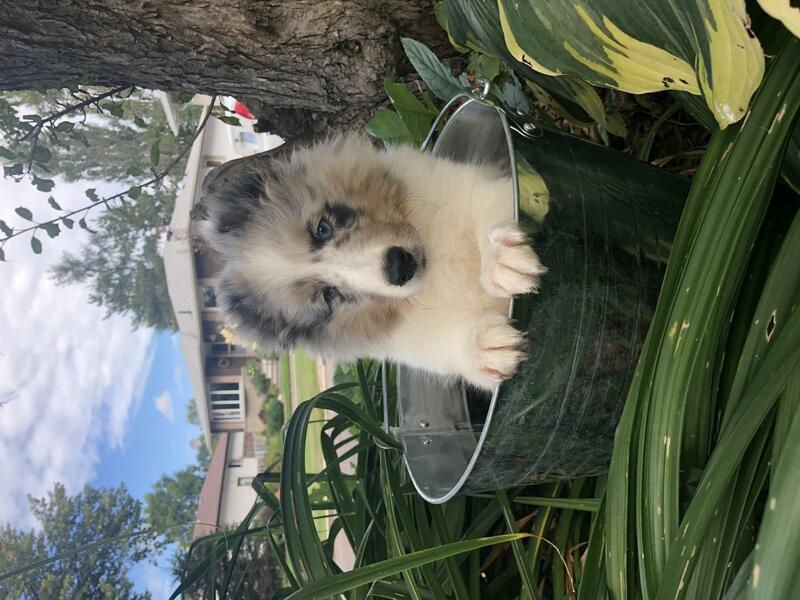 There's a dog in my bucket, dear Henry, dear Henry! And what a cute bucket....eeerrrr.....dog too! 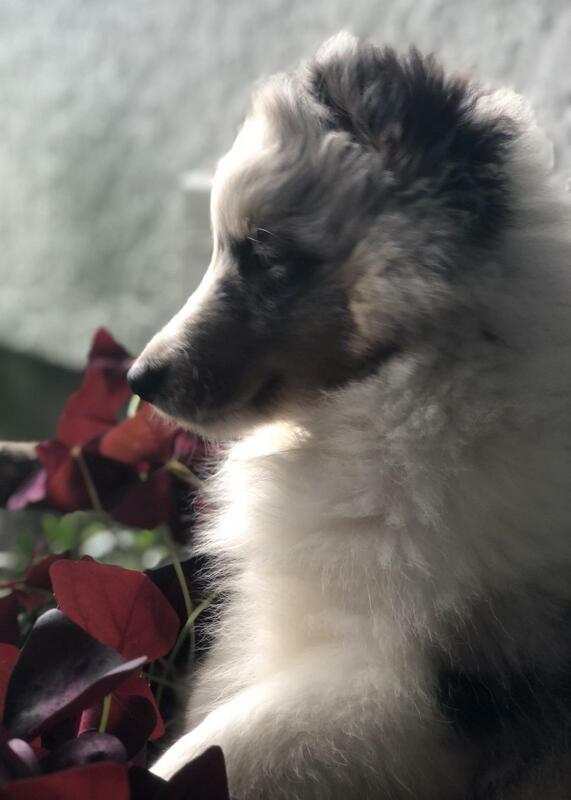 I didn't know that shelties had blue eyes and Opal is the perfect name for her. I hope she will make the best apprentice ever and at least better than Lucy which isn't setting the apprentice bar too high:-) Lucy sends he best to Opal. are allowed to have blue eyes in the show ring. 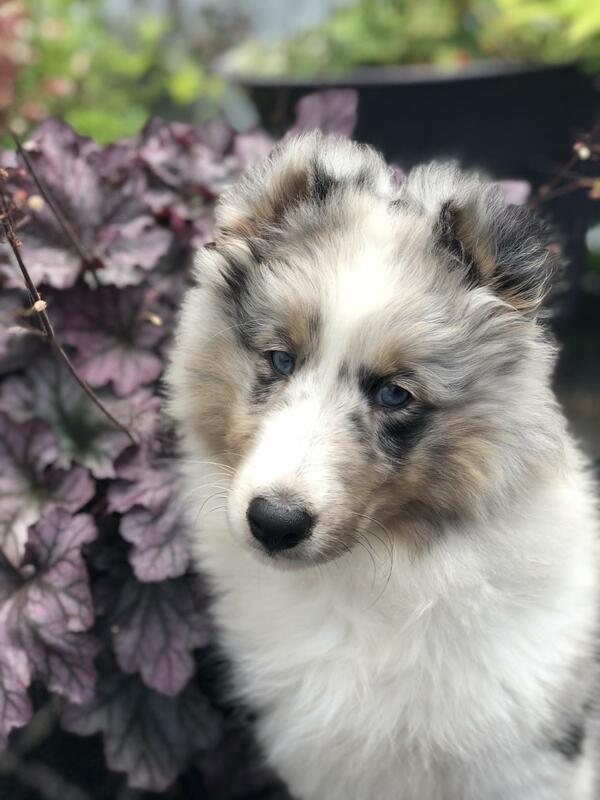 You will occasionally get a Sable Merle with blue eyes but they are against the standard. Personally I prefer brown eyes but you can’t get everything you want. She is pretty perfect in every other aspect. And her blue eyes seem to suit her. Ah, yes! Old dogs, Golden or not, - wide awake or off in a dream whining and padding furiously after illusionary prey - can be opinionated. I know because I am an old dog, good tempered and docile. Though, in my case, I'm reluctant to spare any of my fast disappearing hair for culinary purposes. If I only had a tail that I could wag vigorously and big, soulful eyes (they are blue but lack, at this point, sufficient intensity) I'm sure I could get away with just about anything. The most amazing thing about dogs is their ability to expand your cardiac capacity. You can have two who you think possess all your affection and still give your heart to one more. Enjoy Opal, a jewel beyond price. Sorry I missed your post! 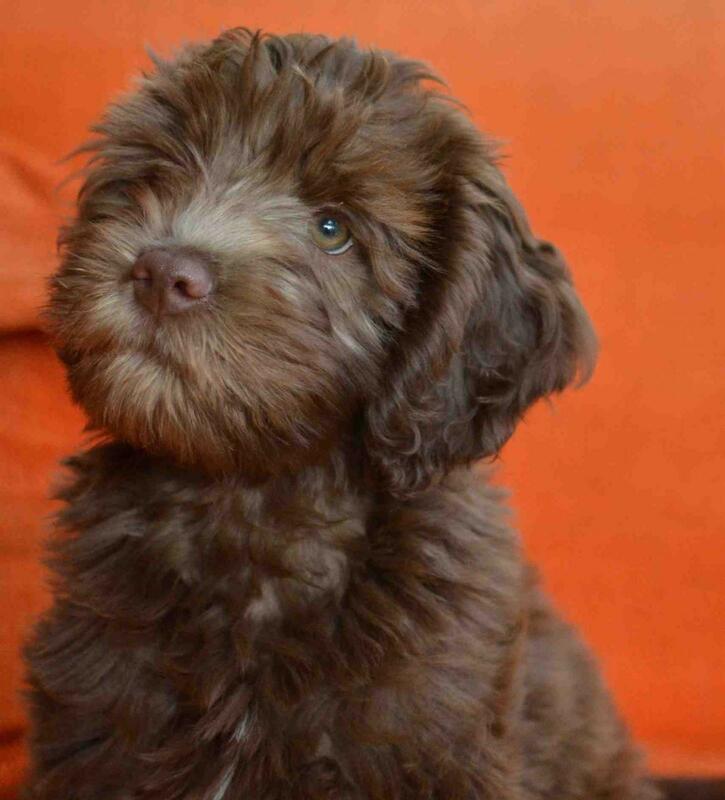 What a beautiful and cute puppy! Congrats on Opal. What a lucky doggie to come home and become part of your family. Max and Lexi wish you lived closer so they could have a play date! She is beautiful. I wish you many happy years. My favorite kind of dog. I am sure you will have a wonderful time her. So smart and fun. She has been amazing so far! Lots of fun and smart as a whip in puppy class! The only negative is that I was hoping to show her in Conformation Shows but I am 99.9 % sure she is going to be too big. Oh well, we will do obedience or agility with her. More fun for her anyhow.